What TV Shall I Buy? The time has come to replace our 32” JVC tv. We’ve determined we’ll upgrade to a 40ish size. And the brand contenders are Samsung and LG. And it seems to make sense to get a 1080p. Whatever we do, it needs to be SIMPLE or as simple as possible in today’s multi-input mediascape. We’re leaning toward Samsung because their sound bar integrates well enough that the TV remote seamlessly controls the sound. The last two TV's I purchased were Sony's - 40'' and 46''. No complaints about the picture but the speakers are terrible. Somewhere along the line it became ok for TV manufacturer's to include terrible speakers. We use Zvox units for sound and external Rokus instead of the TV's smart features. Things are changing so rapidly here that anything I could add is dated. I will anyway. Our 1080 3D LG w/soundbar is really nice and totally seamless in use. It's integrated into the wifi and accesses our Amazon Prime. It's great with real 3D and even if not a 3D pic' can convert it to 3D if chosen. But our system is dated by now. - Revist your size. Average screensize is getting bigger every year. 50" is a common living room size now. Very few people wish their TV was smaller. For size, try a cardboard template. We got a 48" LG 4K HDR TV about a year ago and I absolutely love it. I've always had long life out of LG products. 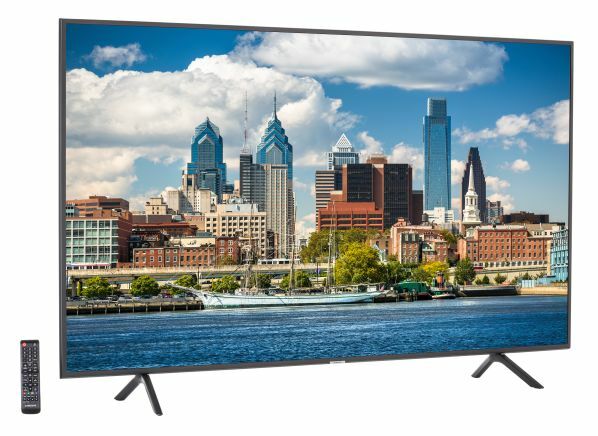 This 70-inch 4K smart TV delivers great high-definition picture quality and very good UHD performance, plus sound that's good enough to let even many discerning listeners skip a sound bar speaker. Just don't expect top-notch HDR performance. This LG is a smart TV that includes the brand's ThinQ voice-enabled artificial intelligence platform, which allows it to interact with and control other compatible smart home products. If you look around, you may see some retailers selling this set for less than $900. Samsung sets have typically done well in our ratings, and this 65-inch 4K smart TV is no exception. Although it's part of an entry-level 4K series that debuted last year, this set offers great high-definition picture quality and very good UHD performance. Like the LG, it also has very good sound, but only so-so HDR performance. It has Samsung's smart TV platform, but lacks the Bixby AI-powered digital voice assistant, which you'll find on the step-up NU7300-series models. 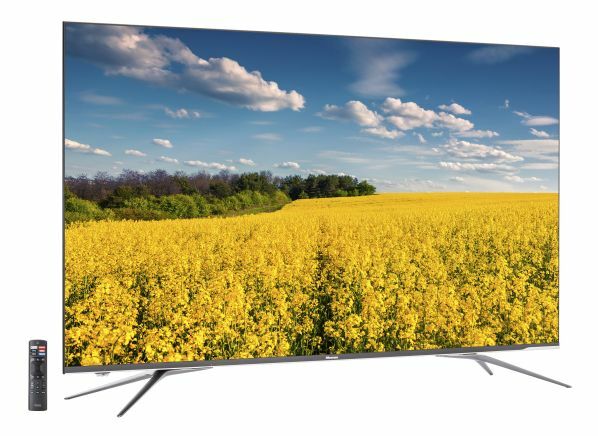 This model from Hisense, one of the company's top "ULED" models for 2018, offers a lot for the money: great HD, very good UHD, and HDR performance that's a step above the LG and Samsung models we listed. 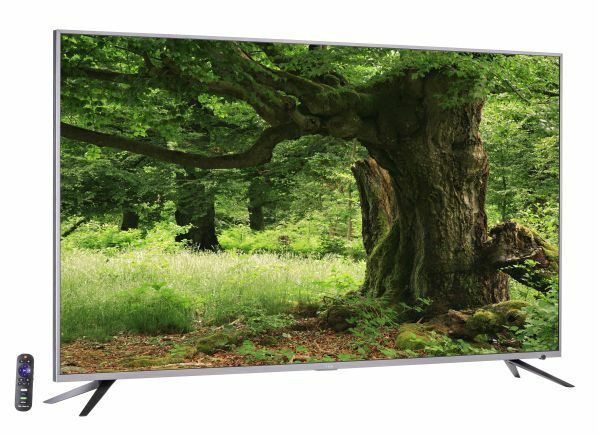 This Plus-series model is similar to Hisense's regular HE9-series sets but adds supports for Dolby Vision HDR, and it uses the Android TV smart TV system with built-in Google Assistant. It will also work with Amazon Alexa. This 6-series 4K Roku TV model from TCL, in the company's top series for 2018, delivers a lot for the money. In fact, when you consider the set's high marks for high-def and UHD picture quality, it was arguably one of the best 4K TV deals of last year. It's also the only model in this group that delivers a top-notch HDR experience, unusual in this price range. Note that the TCL R615 models are Best Buy exclusives, currently selling for about $800. They're almost identical to the R617 sets sold elsewhere, except the R617 models come with a voice-enabled Roku remote and cost about $50 more. 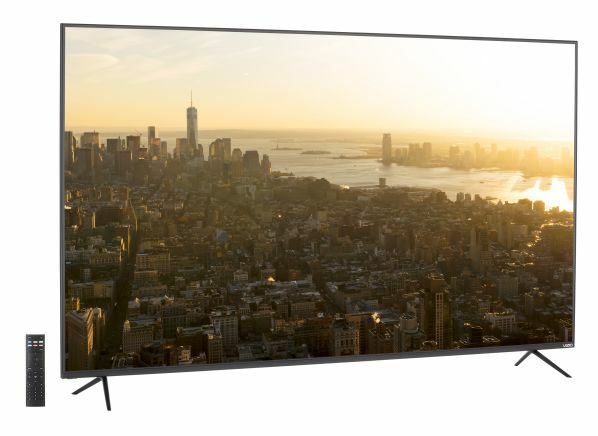 This 65-inch 4K UHD TV, in Vizio's step-up M-series 4K SmartCast line, delivers great high-definition picture quality and very good UHD performance. It also has decent, if not spectacular, HDR performance. (Vizio sets support both HDR10 and Dolby Vision HDR formats, unlike sets from some competitors.) This set has the company's SmartCast smart TV platform, with built-in Chromecast, and it now supports both Google Assistant and Amazon Alexa. And unlike in prior years, all 2018 Vizio TVs come with a built-in tuner. (02-09-2019, 09:00 PM)SCOV Wrote: - Revist your size. Average screensize is getting bigger every year. 50" is a common living room size now. Very few people wish their TV was smaller. Thanks for the suggestion on screen size. I will think it over. I absolutely love our Samsung tv, and when I need a new one....it will be replaced with a Samsung tv. I bought top tier in 2009, and it’s picture is still amazing...some blue rays look 3D to me because it’s such a great picture! We use the Amazon fire stick since smart TVs were as wide spread at the time, and they are great...especially when traveling! I have not had an LG so can't comment on them. But we do have 3 Samsung TVs in the house. The oldest is a 52" LCD in the living room that looks as good now as the day we bought it too many years ago to remember. We also have a newer 65" in the basement that we only bought about two years ago when we renovated the basement. And we have a 40" in the bedroom that works just find for it's purpose which is watching tv before going to sleep. The two big TVs we have hooked up to surround sound systems. But the 40" is just all by its lonesome. Thought a bout a sound bar and then decided we didn't need one. The internal speakers are just fine for how we use the TV. Oh, almost forgot. Our son has a 40" (I think) Vizio in his bedroom that used to serve as a monitor for my wife's eye business but she no longer needed it so he got it. Just read reviews of the exact individual model you intend to get on any site that has reviews. So, check Amazon, Bestbuy and any other site that has reviews. Read as many of them as you can. You aren't looking to hear how much they like the TVs. You want to hear what issues people have with them and whether there is a pattern of consistency with the same issue for the same model. Find the TV with the fewest issues. Price should guide you but ultimately if one has much better reviews than another, buy the one with fewer poor reviews even if it's a little more expensive. You'll save money in the long run. Because once the warranty runs out, they become disposable. 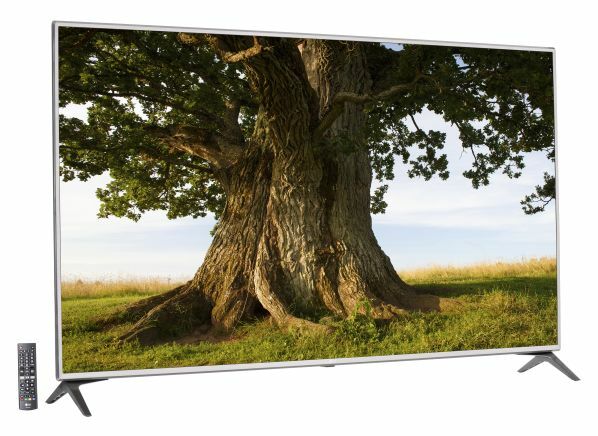 (02-09-2019, 03:53 PM)shevek Wrote: The last two TV's I purchased were Sony's - 40'' and 46''. No complaints about the picture but the speakers are terrible. Somewhere along the line it became ok for TV manufacturer's to include terrible speakers. We use Zvox units for sound and external Rokus instead of the TV's smart features. Could be wrong, but think as TVs have gotten thinner speaker quality has suffered as a result. I've never had a problem with Vizio, but I think my next TV will be a Samsung. A Costco salesman told me that Sharp was "always" sending a sales rep out to re-calibrate the AQUOS models, something you wouldn't want or be able to do at home, so I steer away from those. One thing to point out is I wouldn't bother buying based on the SmartTV capabilities, buy based only on picture and sound. I say that because manufacturers don't really have huge incentives to keep maintaining the product lines of old TVs (just like most smartphone manufacturer's only push out updates for a year or so). If the TV you like doesn't have the feature you want, don't worry, just invest in a Roku, Apple, or Amazon device for streaming. Like Matt, I also own a now rather old Samsung 51’ TV. Back in 2013 summer, this was Samsung’s brand new top model in the plasma category. I paid $2400 for it. I was always a plasma fan, but now plasma is too expensive to continue producing. I’m beginning to see a black sort of smudge once in a while in the center part of the screen on it, but it moves and will disappear and then reappear again. I think it’s near its end cycle, but as long as I’m satisfied with the quality of the picture and the black smudge isn’t annoying me more than now, I’ll keep it. In the bedroom we have a 46’ Samsung LED. It’s okay as a spare tv. I’m eyeing a Samsung Qled 55’ as my next TV. The wife thinks 65’ is too large for the living room in our condo and I tend to agree. Claus! You got married?! Congrats! I looked at Samsung, LG, Sony and TCL at a local retailer. It’s rather difficult to see much difference. So, unless I change my thinking, tomorrow evening I’ll purchase the TCL.